http://www.dressale.com/ is an online fashion clothing store providing a wide range of high quality customer-made wedding dresses, wedding party dresses, special occasion dresses, shoes and other women clothing. You can find all kinds of the dresses you need. The price is very reasonable for every dress, and we have flash sale, discount everyday. For more details you can come to their website. PS: Christmas is coming and now they are giving away 10 dresses every week to their huge fans. 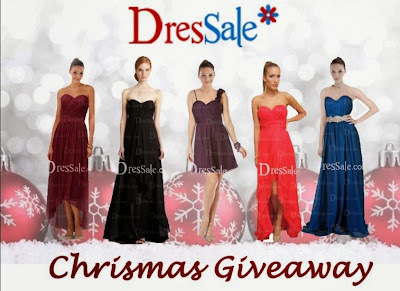 WIN IT: Two (2) winners will receive a $30 voucher from DressSale. Please don't enter, this giveaway has been cancelled.